Economic prosperity requires the presence of successful, efficient and effective institutions operating within a strong, fair and sound commercial and legal framework. Financial markets are among the most important of these institutions, as they mobilize savings and direct them towards available investment venues and reallocate investment to most productive uses. Markets provide the necessary platform for financing projects. They create investment opportunities and establish a vital link between savers on the one hand and investors on the other. 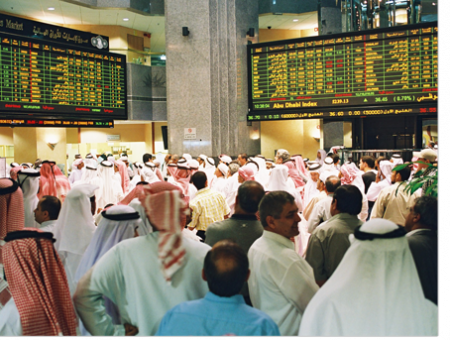 Abu Dhabi Securities Exchange (ADX) recognises that fair open and efficient markets need to be transparent. ADX constantly seeks to utilize all available means of communication to inform the public of its activities and publish its news and the news of the listed companies and their financial statements, along with price and other market information. Moreover, ADX acknowledges the importance the world wide web (Internet) has come to acquire in today's world, due to its wide spread use, ease of access and its ability to provide enormous amounts of information in a speedy and low cost manner.